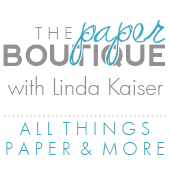 The Paper Boutique: Fab Five Friday! Welcome to Fab Five Friday! For those of you that are new to this blog, every Friday I showcase five blogs, websites or posts that I think you will enjoy. 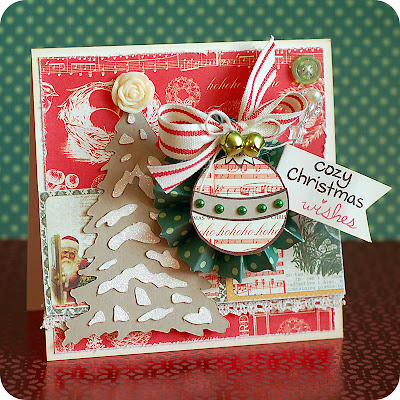 I recently discovered Lea’s Cupcakes and Sunshine blog and fell in love with her ornament card. I was also thrilled to discover that Lea lives in Missoula, MT! My husband is from Missoula and we are there today celebrating Thanksgiving weekend with our family and friends. Be sure to check out her blog, Lea is a very talented designer and photographer! Tim Holtz has done it again! I am in love with his tutorial on how to make gilded kraft glassine using alcohol ink! I am so going shopping for some kraft glassine paper! Wow!! Are you looking for design ideas for your home and for crafting? Then check out Design Sponge. This trendy blog features DIY decorating and crafting ideas. I get inspired to try different card designs every time I visit! Be sure to scroll down to see Anna Emila’s work. Gigi from the Cricut Bug made an adorable pocket recipe card that will make you smile. Be sure to check out her blog while you are visiting! Thanks Gigi for all your great directions! Did you have a chance to see Nadia’s amazing project that was posted on my blog on Monday? If not click here or scroll down for a real treat. Not only is her blog With Glittering Eyes filled with her amazing designs, she also is a terrific resource. For a comprehensive list of RGB codes click here. 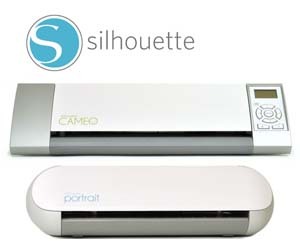 She also has a section on Cricut settings, recipes, and favorite tools all located at the top of her blog. Amazing! Thanks again Nadia!! Thanks for stopping by and I hope you are having a fun filled Thanksgiving weekend! Scroll down to to enter the giveaway! The winner will be announced on Monday November 28th. Thanks for sharing these blogs with us. We can never have too many places to find fun crafting ideas. Thanks for sharing the links! I always enjoy learning new things. The ornament card is stunning - and I especially liked Gigi's fun way to share a recipe! I hope you are having a wonderful time in Missoula! I love all these sites with ideas and inspirations for us. It is so great to have a love to go for ideas! Thanks for everything! So many beautiful things to see. Thank you for sharing. Have a safe trip home. I love checking out all of the places you send us to and I, look forward to it each week! I enjoy hopping new blogs after your Friday blog highlights. Everyone is so creative. I hope everyone had a Blessed thanksgiving. Beautiful card! Thanks for sharing.